We provide a full hardware and software repair service for Apple Mac products. Our specialist Apple technicians have Over 15 years combined experience in Apple Mac Repair, Laptop Repair OSX IT Support. Ensure that all repairs are performed to a high standard, with genuine parts. No matter how big or small the issue may be, we will tackle each computer repair with the same care and stand by our commitment to offer value for money service. We are Apple Mac Specialist with highly qualified and experienced technicians to troubleshoot and resolve your issue with your Apple Mac at an economic cost. Simply bring your faulty or damaged Mac to our service center without any reservations required. Getting you back up and running is important therefore we have an in-house Service Centre. Most board Level components repairs are turned around in 2-3 working days. If you have a time critical repair you may choose to use our Urgent service. If possible, please backup your Mac onto Time Machine before bringing it to our service centre. For instructions on how to backup your Mac, please click here. 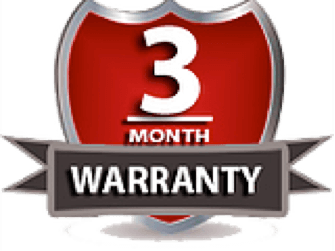 We are confident that our repairs will stand the test of time, therefore, we provide a 3 month warranty on any hardware repair work undertaken. This means that if for some reason a hardware repair fails within 3 months of the repair date, we will take care of the problem for FREE!